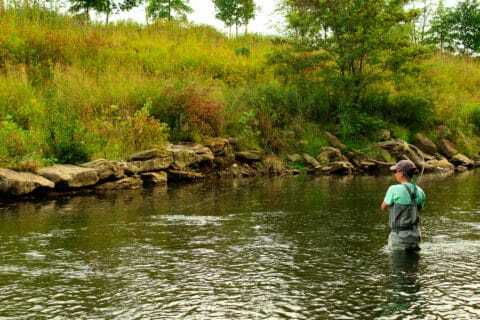 There are times when the desire to fish a certain spot first will blind the angler to everything around them. Visions of fish in the net can cloud what is otherwise our better judgment. Perhaps there’s a blanket drake hatch and one run, in particular, has been extra productive, or one hole has been holding just a few more steelheads this year, but whatever the circumstances are, now more than ever is te proper time to show a strong sense of etiquette. Being courteous on the stream is all about doing to others what you would want to be done unto you. “What goes around comes around” is much more than a stern warning oft used on playground bullies. It won’t be long until you are the one standing in the prime spot, or you’re the one in need of a hand landing a big fish. That’s why it’s important to be mindful of folks on the stream, and go out of your way to make their day, and yours, pleasant. One of the best things someone can do for their fellow angler is not litter. While that might not seem to directly impact others, an errant toss of an empty split shot tin or a careless stowaway of a water bottle can lead to trouble if a local landowner is watching. More than a few great stretches of water have been shut down on account of litterbugs, so don’t be the one responsible for ruining access to trout or steelhead water! 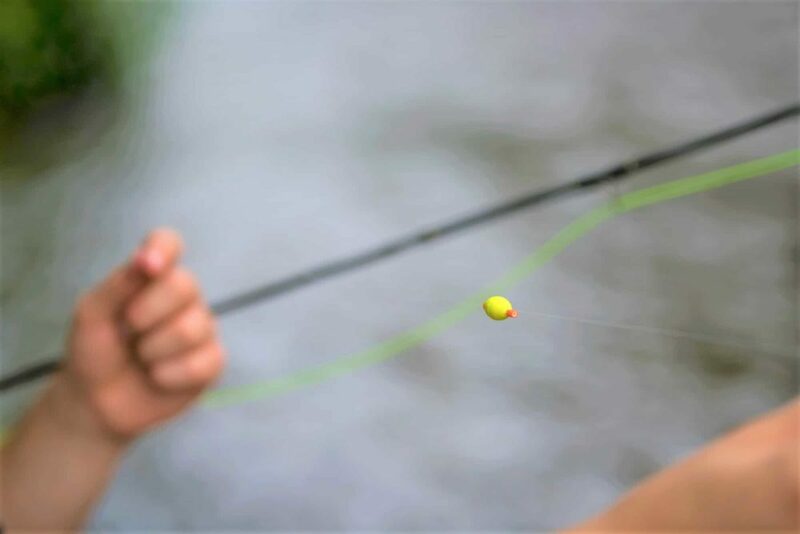 Once in the act of fishing, do your best to steer clear of others. 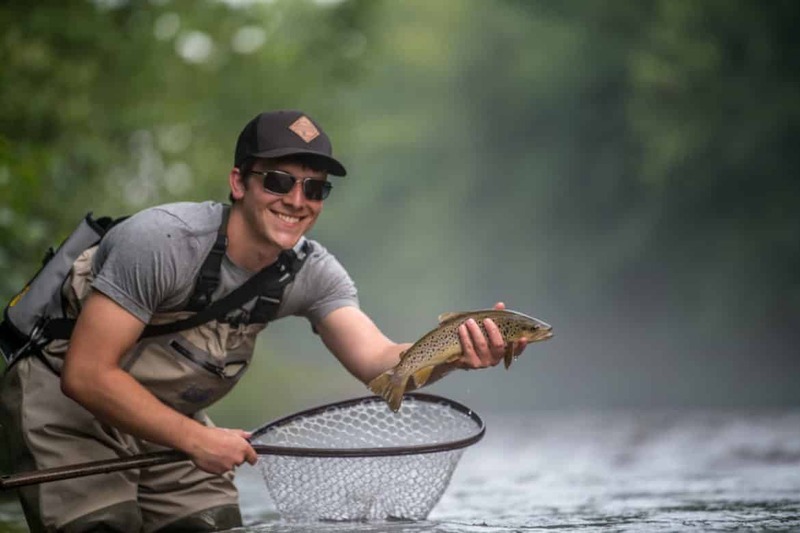 Pennsylvania has the second most miles of fishable water in the entire United States, second only to Alaska. 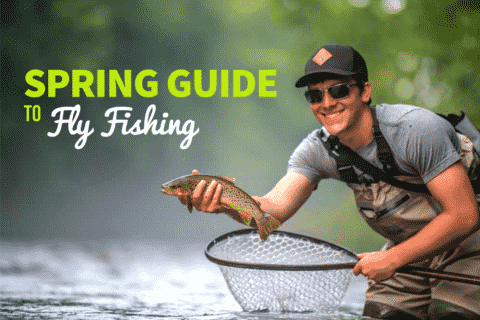 Other states like Colorado, Montana, Idaho, and many more have no shortage of fishing options. Do your best to not fish within sight of anyone else. That’s difficult, especially on steelhead streams, but it’s an absolute necessity for an enjoyable day. 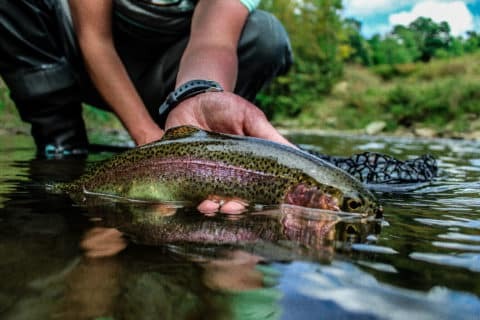 There are few things worse than hooking a nice fish and focusing your attention on other anglers to make sure they aren’t creeping closer to your spot while you are otherwise occupied. Everyone is trying to escape the stresses of the urban lifestyle and just want to enjoy the day. Be respectful and focus on having a good time. It’s just as easy to be nice as it is to be rude. Sometimes ignorance is bliss so leave whatever misgivings you have at home. Ask permission to pass through. Wait until they are done fishing before proceeding. Move to the other side of the stream and continue on. Step back onto the bank and go around. At the end of the day, everyone is there to have fun. Sometimes kids want to build little rock dams, throw rocks, construct rafts, etc. it is totally natural. They learn through exploring and through example. Before you throw a fit, remember that you want to encourage their interaction with nature not to continue the discipline they may already receive at home in excess. Not to mention, they spend way too much time glued to their devices. Playing outdoors is a key stepping stone in their development. Instead of scolding them on the spot, give them some space to play. Odds are, there are tons of open water for you to fish. Practice patience and set the example. There’s a good chance that they will eventually be in a similar situation and choose to use patience by learning from your actions. Greet fellow anglers and say hello. Be open to having a conversation. You can learn from everyone regardless of how skilled you think they are. Maybe even offer a friendly suggestion to help improve their fishing. Just pay attention to others around you, and lend a hand whenever you can. At the end of the day, everyone is out there with the same goal: to spend a nice day outside on the water and hopefully catch some fish. 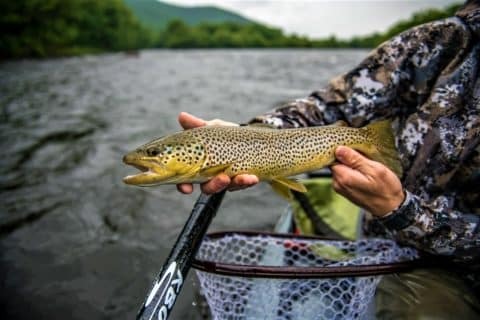 If you see another fisher struggling to land a good one, take a few minutes and offer up your net to assist in the process. Even if they have things under control, it’s always worth the time to see if that person might want a picture taken of them and their catch. 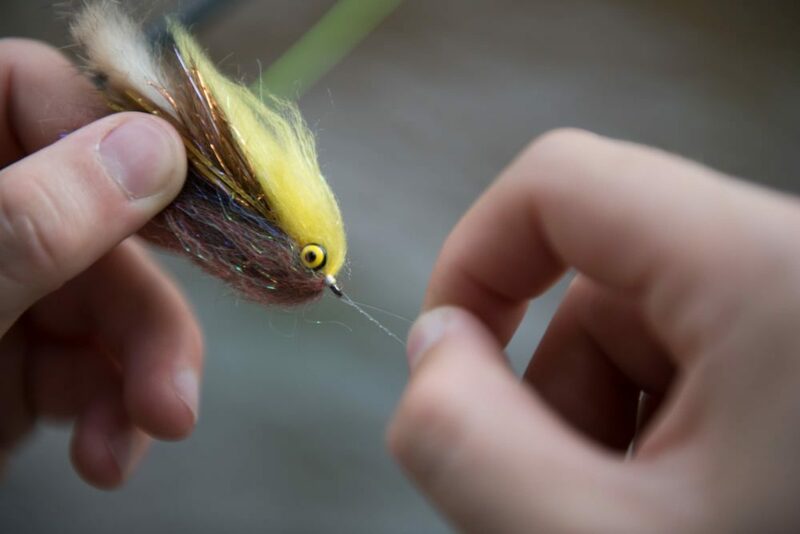 Going the extra mile and only sacrificing a sliver of our time can make all the difference to other anglers, and set the tone for how others act on the stream. If everyone can maintain that same level of civility and courteousness, a good time will be had by all!